Macau casino operator Sands China Ltd announced on Friday the payment of a discretionary bonus – equivalent to one month’s pay – to all of its eligible employees. The bonus will be paid on January 31, “in recognition of their contributions in 2018,” said the firm in a press release. The document did not specify the aggregate amount involved. The company also announced a salary increase for eligible team members effective March 1. Sands China said the pay hike would benefit 99 percent of the group’s approximately 28,000 employees. The company said that eligible full-time employees earning up to MOP13,000 (US$1,609) per month will receive a pay increase of MOP600 per month. The casino operator said it represented an increase of between 4.6 percent to 6.0 percent for workers in that wage bracket. The firm’s eligible employees earning more than MOP13,000 per month will receive an average increment of 2.5 percent, Sands China said. 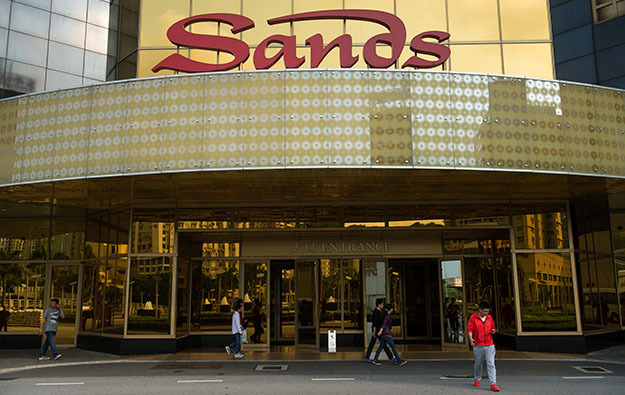 Sands China was the fifth Macau operator to announce publicly a staff bonus this year. The company was however the first among the city’s six operators to announce publicly a salary hike for 2019. “Sands China is very pleased to announce this discretionary bonus and wage adjustment for our team members,” said Wilfred Wong Ying Wai, president of Sands China, in a statement in the release. “Our team members are the company’s greatest asset and the key to our success, and each and every one of them has my sincere gratitude for their contributions in 2018,” he added. In Friday’s release, Sands China said the discretionary bonus would be paid to non-management workers who have been with the company for one year or more. A discretionary bonus will be paid to all management team members based on the company’s “management incentive plan”, said the firm. It added: “Those who have worked for Sands China for less than one year will receive prorated bonuses if they joined the company before October 1, 2018, and are still employed on January 31, 2019”.